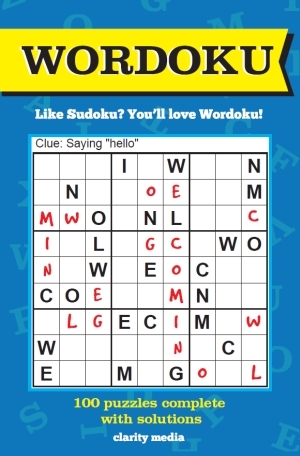 Wordoku is very similar to the classic Sudoku, but with letters instead of numbers. Each puzzle has a clue at the top, which might be straightforward or cryptic, to help identify the nine letter word to be placed in each puzzle. 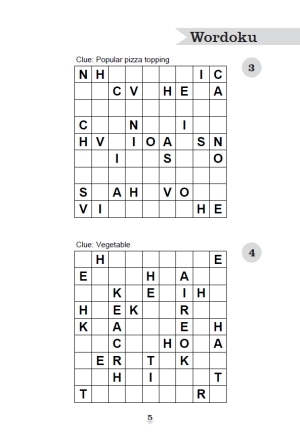 The word appears spelt out by one row or column in each puzzle, as shown in the example below. Every word appears in each row, column and 3x3 bold-lined box. Can you work out where all letters must be placed in order to complete the grid? If you are a fan of numbered sudoku but are looking for a variation to offer you a new challenge, look no further! Wordoku is a brilliant way to advance your puzzle solving skills and a perfect way to keep your brain active!